Lose fat healthily with hard work and discipline - no tricks! 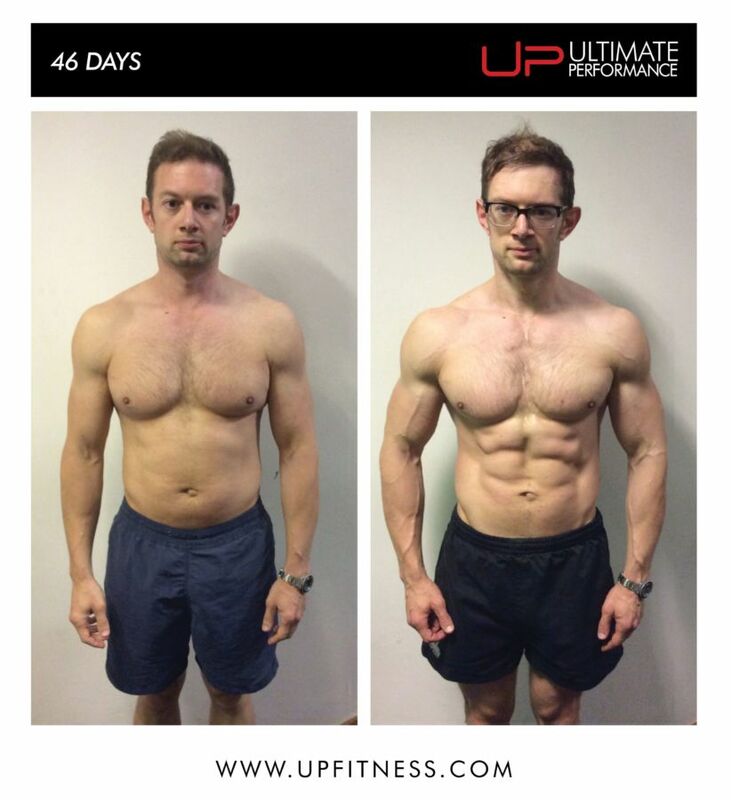 Welcome to “Meltdown” at Ultimate Performance Manchester, our radical and proven male fat loss programme. More people go to the gym than ever before, yet they don’t seem to be in better shape, Why? 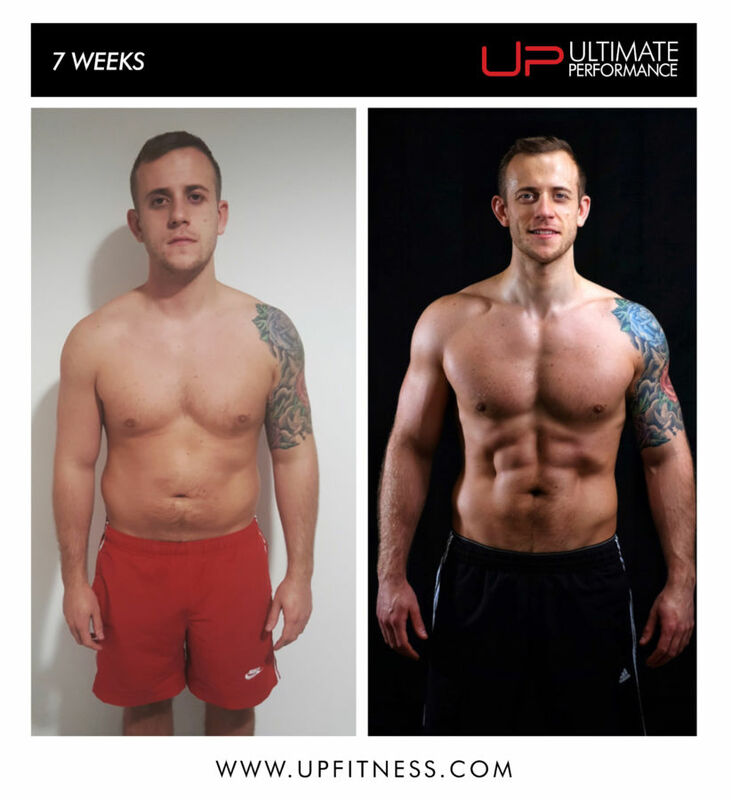 We have been fine tuning our Meltdown Fat Loss Regime for over fifteen years, and now have perfected it to the point that after 2 weeks of working with you at UP Manchester we can tell you almost exactly how much body fat you should drop in the remaining time you train with us – so long as you do what we ask of you! All our Manchester clients, male and female have deeply personal, sometimes complex and often very emotional reasons for being unhappy with their current body weight or shape. This all affects our confidence, self-esteem and especially our relationships. For some of our Manchester clients their motivation is less dramatic but no less meaningful, they want to look great in their wedding suit with all their friends and family around them, or more toned on the beach so they feel better about themselves or their work demands they are in shape for Catwalk or Screen. Once this plan is in place we will then monitor your progression via daily emails and constant feedback from you, making small changes to the plan along the way as and when needed. This daily monitoring of your nutritional habits and progression is how we ensure the best fat loss result while training with Ultimate Performance. All of our trainers are highly skilled professionals who look at the pictures from a completely professional point of view, noticing subtle changes that aren’t always seen by the untrained eye. These subtle changes help the personal trainer to make sure you are moving in the right direction; after the 6 week plan once you see the pictures the changes will no longer be subtle but dramatic. On the basis of the data gathered by our initial consultations we then build a unique Fat Loss / Fat Burning training programme unique to you based on the Meltdown principles. This is a 6 week plan that is designed to evolve as your conditioning improves and will see you burning fat and stoking up your metabolism right from the very first workout. Your trainer is with you every second of your workout at UP Manchester, making sure your form is perfect​ and that you get everything possible out of each session. Have these people who once considered themselves “nohopers” been pleased with their results on the Meltdown programme? Let’s put it this way, we have had many hundreds of very happy clients. We are very proud of Manchester's Meltdown reputation and unlike most personal trainers who will take on any client, no matter how wavering their commitment, we have very limited spaces for personal training and we are very particular about who we take on as a client.